"Those who provide medical support during tactical operations represent a unique segment of prehospital care providers, working in hazardous and austere environments. This type of prehospital medicine, known as tactical medicine, is an evolving discipline" (Schwartz et al., 2011). 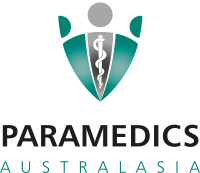 Matt and Ben are both executive members of the Australian Tactical Medical Association. They will be providing insights, challenges and lessons on the ever evolving field of tactical medicine. We look forward to seeing you there!